To help people across borders and through fences is one of the most humane things you could do. In our 10-year history as a Tramprennen we have experienced this humane act very often. People inviting us in their cars and transporting us across borders were and are essential to successfully reach the final destination. But of course, we have also seen the cruel inhumane way people fail at crossing the borders. 2015 we experienced first hand what refugees have to face at the borders on their way to a safe haven. We then decided to put our focus next to the WASH projects of Viva con Agua de Sankt Pauli e.V. on the rights of asylum seekers and collected the next years donations for Pro Asyl and Viva con Agua. This year we decided to restructure our donation process. We are happy that we were able to support the work of two wonderful organizations and spread the word about clean sanitation and the necessity for refugee rights. But we felt the need for a change and decided that this year we want to support one organization that is helping people across borders and rescues them in the most dangerous situations. Sea-Watch e.V.! 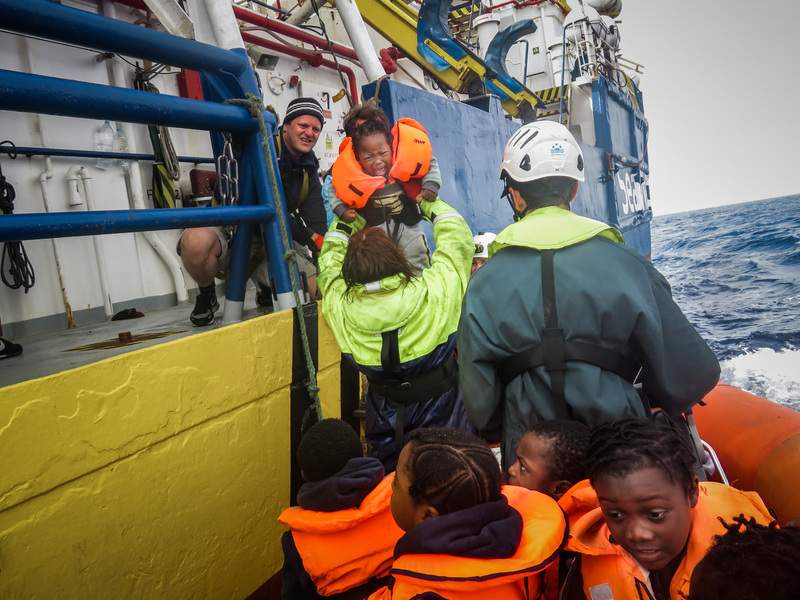 In 2015 a few people decided to buy an old boat and modified it to rescue people in distress and headed out into the Mediterranean Sea. 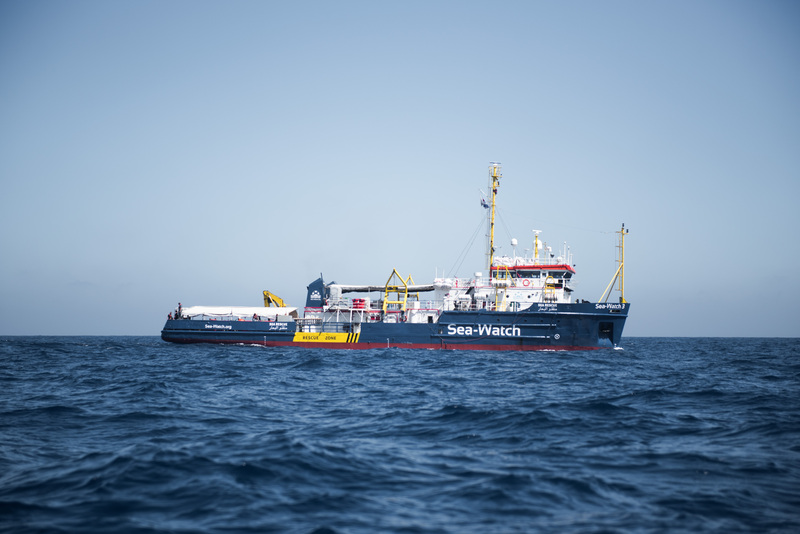 Sea-Watch e.V. was born and has since then rescued thousands of people that fled the African continent to seek refuge in Europe. Through the work and knowledge of the volunteers and the donations of its supporters the non-profit organization was able to improve its skills and fleet. With the EU-Turkey deal and the Balkan route closing the focus of migration was again the Mediterranean Sea and as Libya emerged into a failed state the conditions for many people there worsened quickly. 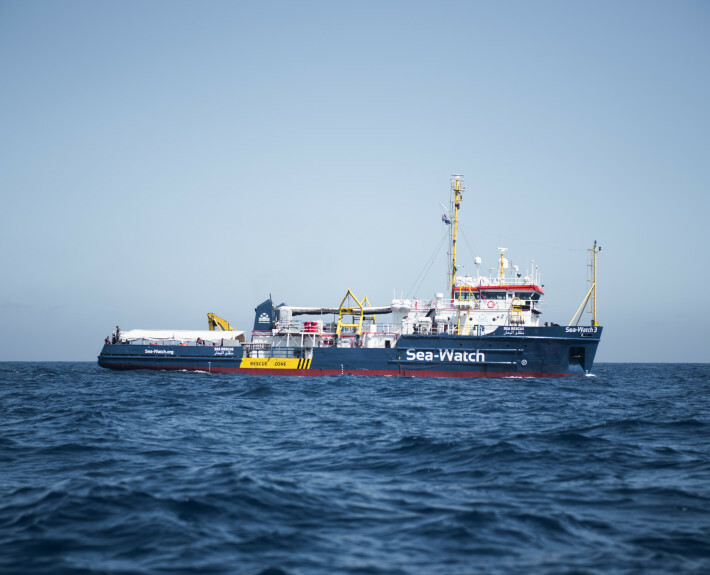 Sea-Watch and other civil sea rescue operations are working constantly to spot the small rubber boats of the refugees and rescuing before they sink. In the last year the Libyan coast guard have repeatedly caught the refugees before the rescuers were able to reach them and brought them back to Libya. This is a clear violation of human rights and Sea-Watch witnessed and made several of these so-called push-backs public. Now it is your turn to motivate your friends and families to sponsor your team in this years Tramprennen to Boracko Jezero in Bosnia! Easter Race in Osterode! Registration for Tramprennen 2018 is open!